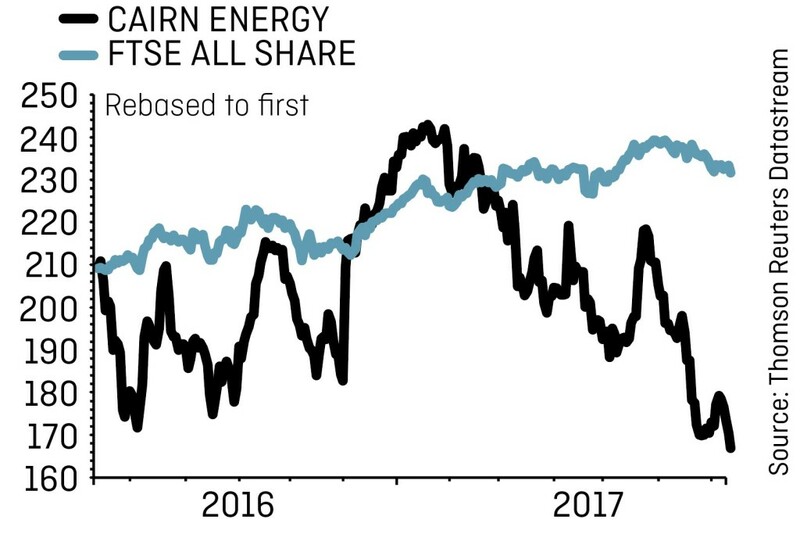 A combination of lower oil prices and a rumbling tax dispute in India have conspired to drag Cairn Energy (CNE) to 52-week lows. We think this represents an opportunity to buy the shares at a cheap price. The £995m cap continues to make progress offshore Senegal and production is ramping up at its two key UK projects. The wider exploration and production (E&P) sector has been hard hit by the fall in oil prices which currently sit below $50 per barrel, having traded comfortably above this threshold in the first quarter of 2017. Although we are not confident in forecasting the future direction of oil prices in the short term, we think the market has priced in a scenario where prices remain depressed for an indefinite period. 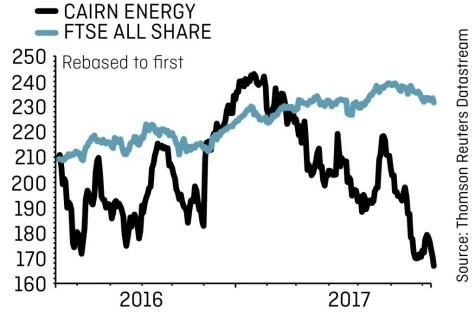 Equally the share price has been discounted for an Indian tax dispute which has effectively seen Cairn’s assets in the country frozen since 2014. Cairn is seeking $1bn in damages from an arbitration case and expects a judgement in January 2018. Cairn announced on 11 July that the latest well to be drilled off Senegal, FAN South-1, struck oil after being completed ahead of schedule and under budget. The company will now do further work to determine if it will be commercial to develop alongside a discovery made 30 kilometres away at the initial FAN well in 2014. The Stena DrillMAX drill ship is next set to drill the SNE North exploration prospect targeting 80m barrels of oil equivalent. The joint venture in Senegal, in which Cairn has a 40% working interest, has now drilled 10 wells in three years. Analysts at investment bank Macquarie say they are ‘hopeful for an uplift to resource volumes’ from Senegal when the company reports its first half results on 21 August. The company was sitting on net cash of $254m at the last count although it would need to use debt to bring its Senegalese discoveries on stream. Macquarie thinks the company may look to sell some of its interest ahead of development. Much closer to home, the Kraken heavy oil field in the North Sea delivered first oil in June 2017 and should yield 15,000 barrels of oil per day (bopd) net to Cairn when it hits peak output of 50,000 bopd. The Catcher development, which will eventually deliver net production to the company of 10,000 bopd, is expected to commence production in December 2017.